Russian president Vladimir Putin was at the Hannover Fair this morning. 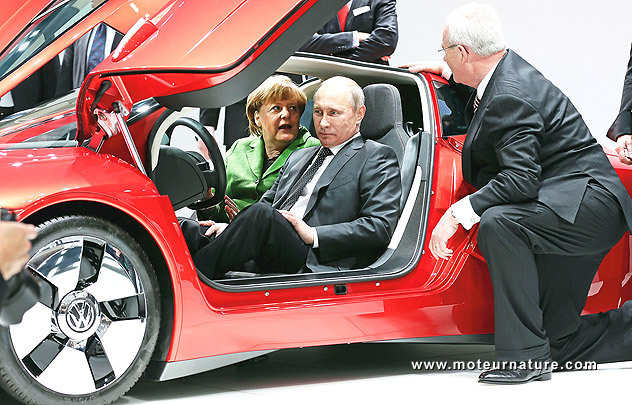 German chancellor Angela Merkel greeted him and took him to the Volkswagen stand where he had the opportunity to sit in the world’s most fuel-efficient car: the Volkswagen XL1. This is the only production car in the world that can get 200 mpg in normal driving.